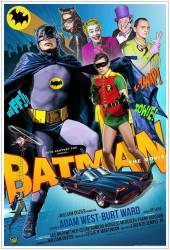 Trivia: The 1966 T.V. 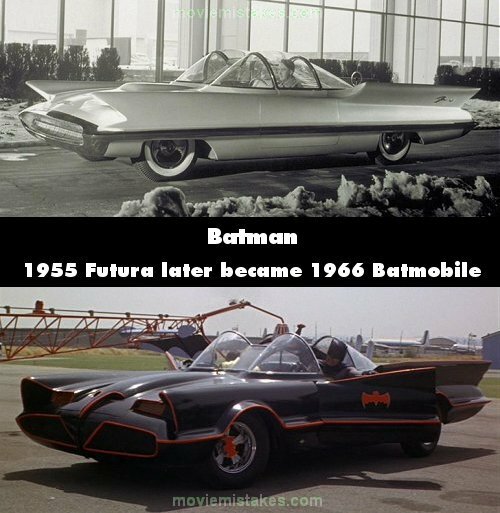 Batmobile was created from a decade-old "concept show car" designed and built in 1955 by Ford's Lincoln Division. It was called the Lincoln Futura, and was originally a pearlescent pale green. After several years on the car show rounds (and an appearance in one movie, repainted red), it was sold for $1 to George Barris who stored it outdoors for 6 years. When FOX called looking for Barris to build a car for the show, they gave him 3 weeks, so he grabbed this already-weird looking car he had out back, sketched a few changes and passed the physical work to Bill Cushenberry. It was finished on time and the rest is history.